Technimatic v Nils Frahm, Artificial Intelligence, Random Movement, DBR UK, Technimatic & Lucy Kitchen v LSB and more. This show was 1st in the global deep chart and 2nd in the global drum & bass chart. 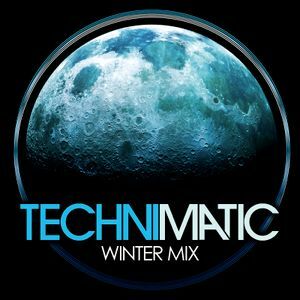 "This is a mix from us reflecting the coming winter months. We&apos;ve kept it deep, melodic and soulful. It includes some unreleased Technimatic material, as well as exclusive and upfront music from artists we love within the scene. We hope you enjoy it." Listening to this again after a while and it is still so good! Great sound by Roger Waters. Geekcroft did the same Lucy Kitchen and LSB overlap! yours is better i have to say! two lovely tunes. lovely mix! love this mix! im feeling a bit too wintery this winter and this mix is helping me! Adeamn! Love the nils frahm mix! I loved all tunes, nice Job ! Seriously good mix! Nice mix of everything in there!